Dr. Aaron Cohenour and his dedicated team would like to welcome you to SmileArts Dental Studio! 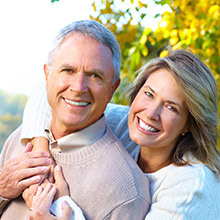 For years, we have been providing quality services to patients of all ages from our Oklahoma City dental office. 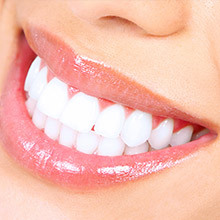 Our goal is to personalize every treatment you receive so that your smile maintains its unique beauty. At the forefront of promoting the health of your smile is creating a welcoming environment for our practice. Whether you are a new or returning patient, you will feel at home from the moment you step into our office. Not every patient is a candidate for the procedure they desire, but our skilled doctors make it their mission to find treatment options that work for your smile. Anything that you receive from SmileArts Dental is customized just for you. One of the best ways to identify and diagnose potential dental issues is to use the latest innovations in digital technology. Dr. Cohenour and Dr. Kratzer makes use of several diagnostic and treatment instruments that add convenience and efficiency to your care. For example, our 3D cone beam is integral in providing high-quality images for your patient file. Our ability to hone in on particular areas of your dental health helps us prevent concerns from worsening. If you are a new patient, your appointment will begin by filling out all necessary paperwork. 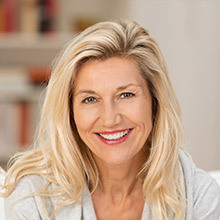 Afterward, you will be taken back to a treatment room where you will receive a cleaning from one of our qualified hygienists and have X-rays taken if necessary. Dr. Aaron Cohenour or Dr. Kristin Kratzer will see you after your cleaning for an examination. They take the time to address any findings from your X-rays, giving you a thorough understanding of oral health and discussing a plan to get you to your personal dental goals. Depending on your particular needs, you can further discuss your cosmetic options. Dr. Aaron Cohenour and his team want to improve the foundation of your smile so that it lasts a lifetime. We’re excited to welcome you to our practice and look forward to being your dental care provider! If you would like more information about the services we provide or to get started on your treatment, contact our Oklahoma City office and schedule an appointment!